I'm really thrilled to be a part of this link-up with Ashley and Laura! As you know I've been participating in TIGF for the last two Friday and it is one of the easiest and most fun posts I've written. It's so easy because, well, who isn't grateful for something, right? Starting today and every Friday, you will now have the opportunity to share what you are grateful for, too. Link up, visit each other, and share in each other's gratefulness. Pretty awesome if I do say so myself! Oh that Sibling Love. 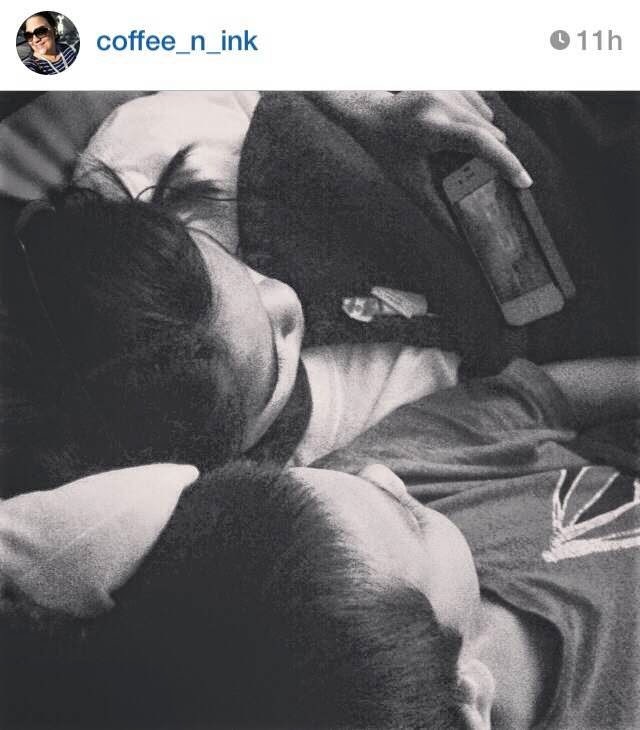 I posted that photo on Instagram last night after seeing my son cuddle up to his sister. I love how close they are. Yes, they argue every once in a while and they tease each other, but they love each other so fiercely. They are each others defenders to the end and protect each other from anyone who may want to cross their path. I dare anyone to tease my son in my daughter's presence - she will walk right up to you and tell you not to mess with her little brother. It makes me giggle at how protective they are of each other. If one of them is being scolded, the other one will go by later and hug him/her and make it all okay. They've got that solidarity thing going and I pray it lasts forever. My Morning Commute. Twice this week I've had to drive into work on my own. Yes, it was nice to have some alone time, but it also made me miss that time each morning I have with my husband. Even if we don't talk and are just listening to a book together or the radio, we're together. Some mornings, I read my book while he drives. Other mornings are filled with talks that you don't want to end. Then, as the work day is done, we get to rehash our days and be grateful that we have each other. I am one lucky woman to love and cherish this husband of mine so much. He is my answered prayer. God did a great job when he picked him out for me, huh? The Skin I'm In. So much of my life has been a battle with this body of mine. Yo-yo dieting? I was an expert. Beating myself up? That too was my forte. But now...now I am so comfortable with who I am, what I look like, and how I feel. Yes, I have those self-bullying days, but they come so few and far between now. I love who I am and how I got here. I'm grateful for myself. Oh, Christian Grey. I spent pretty much every waking hour with E. L. James' Grey Trilogy. I could not put those books down. So, when the trailer came out yesterday for the first Fifty Shades movie, I was more than ecstatic. I cannot wait to set up a all-girl-swooning date for Valentine's Day next year. What does this have to do with being grateful you ask? It made me think yesterday. The love I have for books - those books that reel you in and make you abandon all responsibility and make you sad that they're over - is never-ending. I love cracking open a new book or smelling that old page smell of a oldie-but-goodie. I love love love reading. It's such a big part of me. YAY for making it a link up! Love it! That view during your commute is beautiful and seriously sibling love is my jam! Thanks for hosting! Such a great link-up! 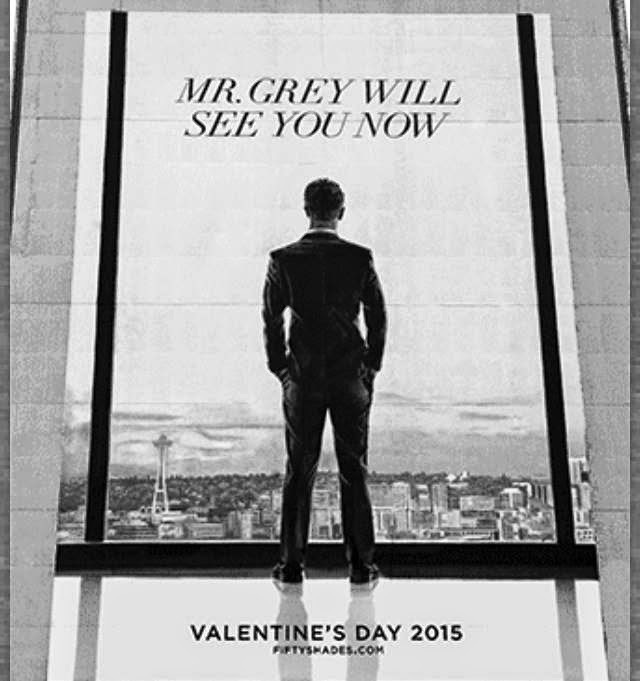 I am pretty excited to see Fifty Shades as well. It's funny, every time my husband and I are in the car we are always talking to each other. On more than one occasion we were so wrapped up in our conversation we drive right passed our exit. Sweet post! I love the part about your kids being best friends. I hope Carter and Vanessa are that way when they are a little older. And so nice that you get to commute with your hubby every day- priceless!